Error updating boot.wim's - Failed to Import the following drivers. "Failed to Import the following drivers". If you are getting this error when updating the boot.wim's MAKE SURE your source drivers are still in the same location. 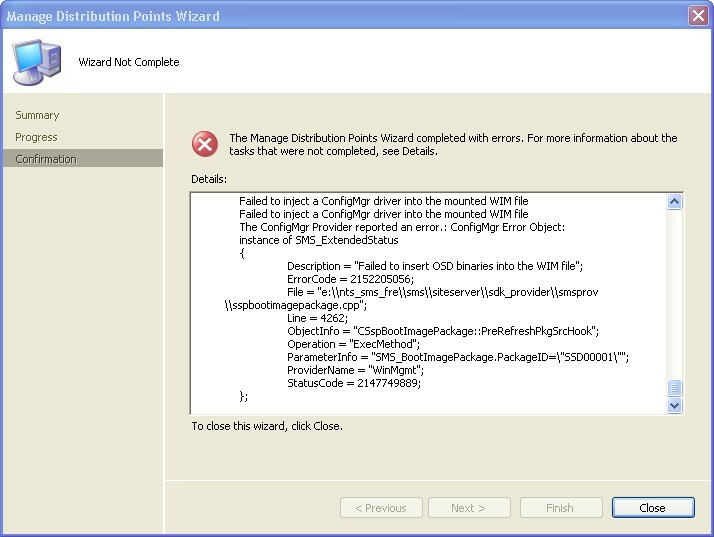 I found that a source directory had been renamed and therefore SCCM failed inject drivers with a very strange error message. 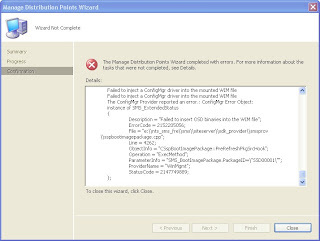 Go into SCCM and view the source files of the drivers its failing to install. You'll probably find that SCCM can't find the source because someone has moved or deleted the folder. In my case this affected about 50-100 drivers.. I used the View add columns to sort by source location to remove all the missing drivers and re-add the missing drivers.